The Windows 10 Game Bar is a solid gameplay recording option with excellent performance, but its UI is flaky. Windows 10 includes a native gameplay recording feature called Game Bar that performs quite well at times and is relatively easy to use. It’s not without its problems, however, and sometimes it’s more of a pain to use than many third-party options. The settings in Game DVR. Next, go to Settings > Gaming > Game DVR, where there’s an option to automatically start recording a game in the background. 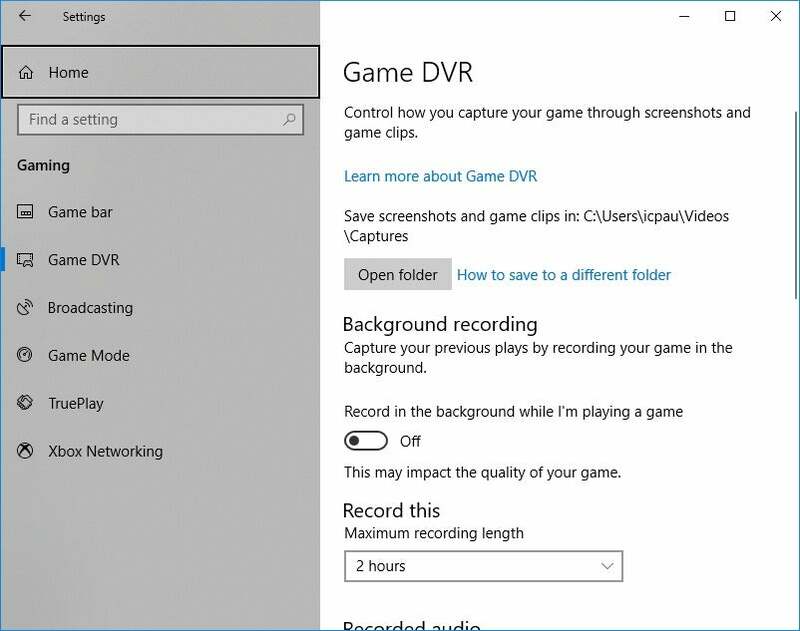 This feature lets you grab 30 second clips by pressing a button on the Game Bar while in-game, or by hitting the keyboard shortcut Windows key + Alt + G.
Xbox console users with Kinect will know this as the “Record that” feature that they’re able to use via voice command. On PC, however, we’re still stuck hitting keys and shortcuts like a bunch of suckers. The maximum recording time when Game DVR just runs is up to 2 hours by default, but you can also set it for 30 minutes, one hour, or four hours. 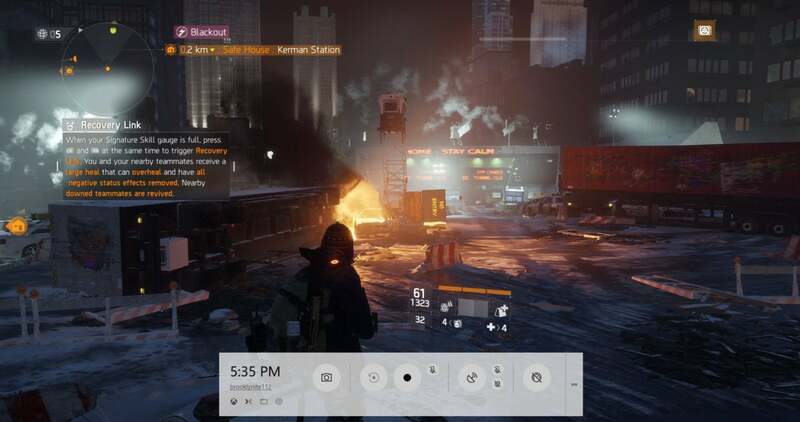 In the Game DVR settings you’ll also see options for recording your mic during gameplay, and below that you can choose to capture video at 30 or 60 frames per second. Below Game DVR in the Settings app’s left rail there’s also a Broadcasting menu item. Here you can adjust all the options for sending your stream out onto Microsoft’s game streaming platform, Mixer. Unfortunately, the Windows 10 Game Bar doesn’t tie into more popular services such as Twitch and YouTube. Once you’re in game, to manually record a game clip, simultaneously press the Windows key + G to call up the Game Bar or click the Xbox key on a controller. Once the Game Bar appears, hit the record button, and you’re good to go. Or you can hit the “Record that” button to the left of the record button to grab the last 30 seconds when background recording is active. No for the bad part: Sometimes calling up the Game Bar just plain doesn’t work. When the Game Bar fails to appear it’s usually because the game doesn’t recognize the keyboard shortcut or the controller button press. 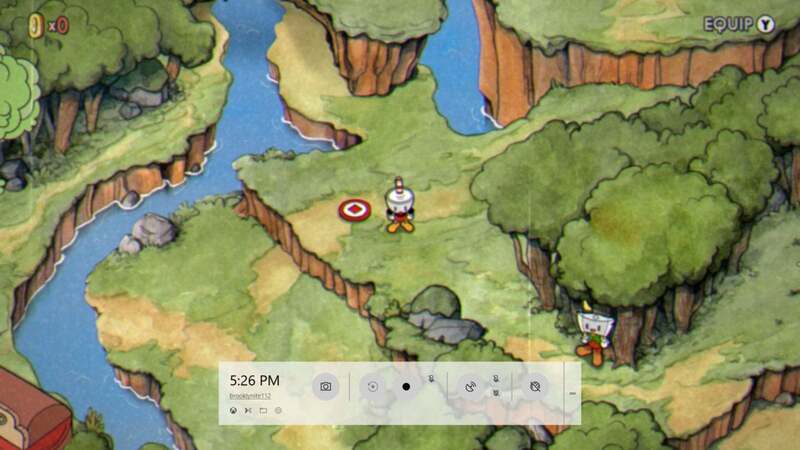 An active Game Bar/Game DVR recording in Windows 10. There are a few quick fixes for this. If you play the game in windowed mode the Game Bar should appear when called; however, the minute you go back to full screen the Game Bar will either stop recording or disappear from the screen. If windowed mode isn’t your thing, the alternative is to use the keyboard shortcut Windows key + Alt + G to record the last 30 seconds of gameplay, or hit Windows key + Alt + R to just start recording. These work even if you can’t see the Game Bar onscreen. Game Bar “confirms” that it’s recording by blinking the screen, similar to what happens when you take a screenshot in Windows 10 using Windows key + PrtScn. But the Game Bar blink is more subtle and easily missed. It also doesn’t show you an overlay during recording to indicate that it’s working, so you kind of have to take it on faith. That isn’t great. View your games inside the Xbox app. 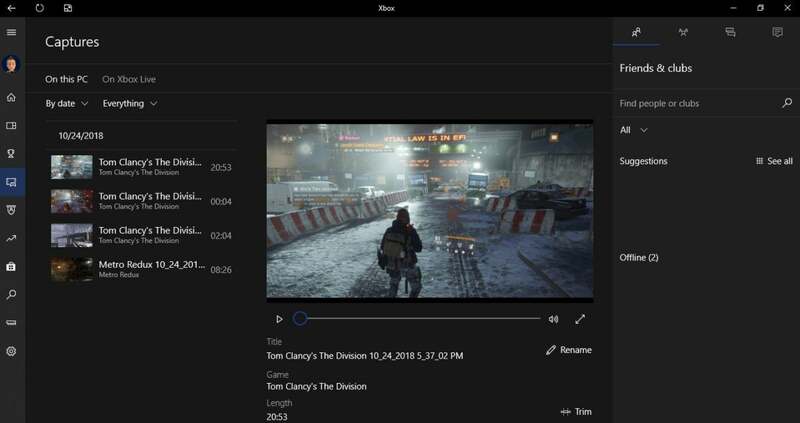 Once you’re out of the game, you can view your videos by either going to Videos > Captures, or inside the Windows 10 Xbox app where you can upload them to Xbox Live. Running the Metro: Last Light benchmark on our budget testing rig, Game Bar did really well. The recording session took our benchmark from an average 58.33 frames per second down to 54.33 fps. That was in fullscreen, with no certainty that the Windows 10 Game Bar was recording until after the benchmark was finished. 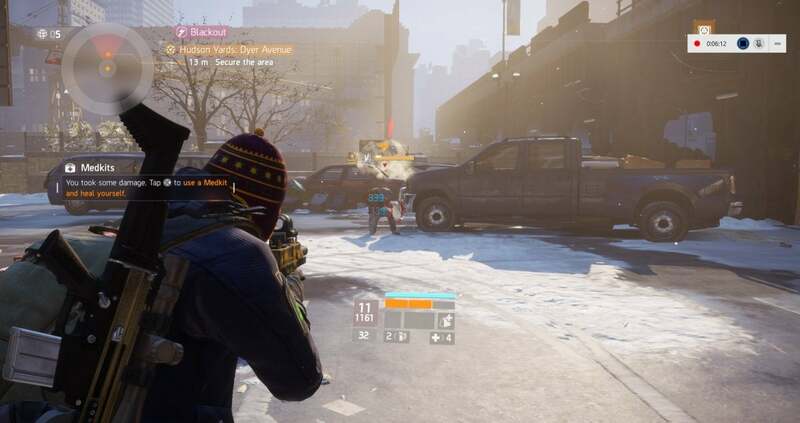 Performance was also good in The Division, where again the Game Bar didn’t show up in fullscreen. Without Game Bar running the average was 56.3 frames per second, and an average of 54.9 fps with recording active. Finally, just to see if Game Bar could continue this performance streak, we turned to the benchmark tool in 2016’s Hitman. Without Game Bar running, the budget rig scored 39.43 fps, with recording running (and again no Game Bar in fullscreen) the average performance dropped slightly to 37.74 fps, a difference of less than two frames per second. Game Bar’s performance was excellent overall, and the hit to performance should be nominal for already taxed resources on budget gaming machines. The Game Bar will get the job done, mostly, but not knowing whether it’s working or not in a given game means it’s a little riskier than third-party tools. It’s also limited to Windows 10 PCs, which leaves out anyone still holding on to Windows 7 or 8.1. The fact that it’s only good for Mixer streaming and not Twitch or YouTube is also a minus for anyone looking to get into game broadcasting. Overall, Game Bar’s performance is fantastic, the interface is very simple, and it has the basic features you need. But those times when you can’t see the Windows 10 Game Bar means you never really know if you’re recording until the gaming session is over. That is not great since Nvidia’s ShadowPlay, Plays, and many other tools reliably show up as expected. This story, "Game Bar for Windows 10 review: A top gameplay capture performer, when you can see it" was originally published by PCWorld. 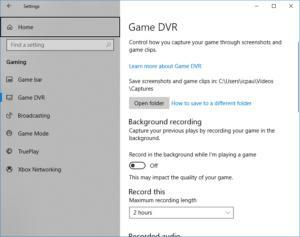 Game Bar and Game DVR built-in to Windows 10 get the job done, but these tools are inconsistent and whether they'll work as intended largely depends on the game you're playing. Performance was also drastically different in several games in our tests. If you want a worry-free experience then consider going with a more reliable third-party tool.